Now that the holiday gatherings and other festivities are done, it's time to get serious about that list of New Year's resolutions. 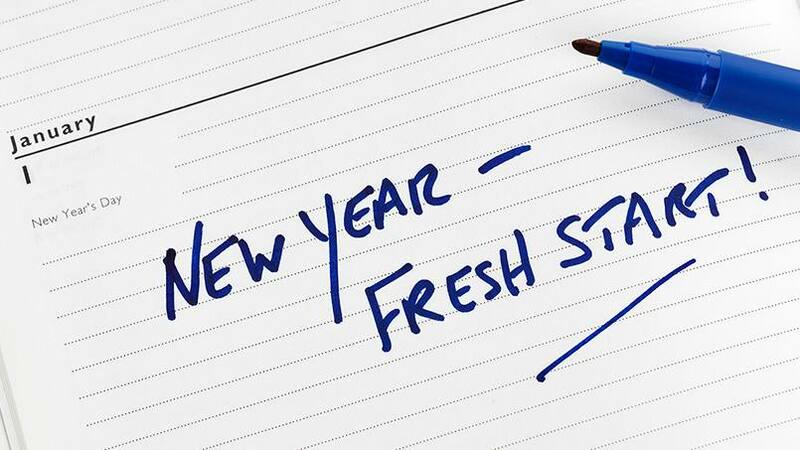 If you're like most people, at the top of that list are resolutions around health. Fortunately, improving your health in this New Year doesn't need to be difficult. In fact, when it comes to our heart health, Mayo Clinic cardiologist Stephen Kopecky, M.D., tells Mayo Clinic News Network that there are four simple things we can do to keep our futures looking bright and healthy. 1) Don't smoke. Smoking is a major risk factor for heart disease, according to the National Heart, Lung and Blood Institute. 2) Eat five servings of fruits and vegetables a day. They provide vitamins, minerals, fiber and antioxidants that help reduce your risk for many diseases, including heart disease, stroke and some cancers, and can help you manage your weight, according to Mayo Clinic's Nutritionwise blog. 3) Maintain a healthy weight and a body mass index, or BMI, of under 25. Your BMI number is a starting point for understanding what a healthy weight means for you, according to the Mayo Clinic Diet website. 4) Exercise. (You knew this was coming.) Dr. Kopecky says exercise will have the biggest, and longest-lasting, results on your long-term health. "For every hour you're active vigorously as an adult, you live two hours longer," he says. "There's nothing else we have, really, in medicine with that good of a return on investment." Dr. Kopecky says making these changes today (yes, today) will reduce your risk of heart attack in four years by 40 percent. And keeping these healthy habits for 20 years, he says, drops that risk by a whopping 80 percent. And it doesn't have to be difficult. In this Mayo Clinic Minute, Danielle Johnson, a wellness physical therapist with the Mayo Clinic Healthy Living Program, says the first step in getting there is setting realistic expectations and finding an exercise program and routine that we enjoy, and that works for us. "Exercise should not be drudgery. Exercise should be fun," she says. You can make it so by "looking at some new goals that you can be excited about." Johnson says it's important to be realistic about how often and how long you have to exercise each week. "Maybe you only have 20, 30 minutes three days a week," she says. "Start from a place where we can build success. You can always add more." The most important thing, she says, is to be honest with yourself about what you can maintain throughout the year. "Having realistic, healthy expectations can be a really good way to move forward in a very successful physical activity plan," Johnson says. You can move forward with us into the New Year by sharing your comments below. Then, use the handy social media tools atop this page to share this story with others. Read more about the Mayo Clinic Diet. Explore the resources of the Mayo Clinic Healthy Living Program.